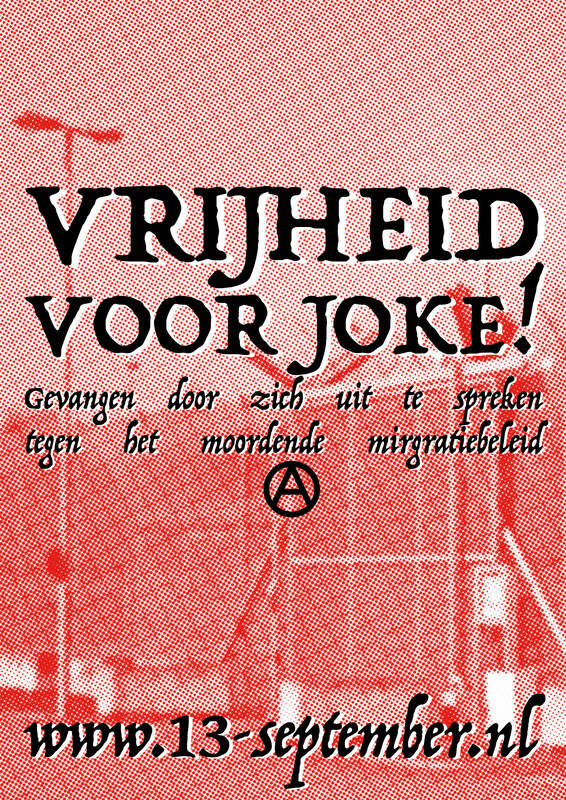 This morning at 07:10h the police and the IND (immigration service) raided a squat in the Schilderswijk in The Hague to arrest our friend Ali. This afternoon Ali was released. In the early morning the dogs of the police and the IND raided the house of our friend Ali because he supposedly did not possess the right papers to remain in the country. About ten cops were ready to beat down the door. This was not necessary because Ali opened the door himself, he was then arrested and transferred to the police headquarters. From the papers he was given it seems the authorities either wanted to deport Ali or lock him up in a detention centre. They also had a warrant to enter his house to arrest him. This is bizarre because at the moment there are no deportations to Iraq. There was confusion about this fact, but after research done by Ali’s lawyer this still seems to be the case. The cops searched his house and took his phone and laptop. At the police station the cops searched his laptop to ‘look for his passport’. They also ordered him to unlock his phone but he refused. Ali’s lawyer filed a new asylum application (they were already in the process of doing so) when the news of his arrest came in. It is unsure if this was the reason for his release. Ali would like to thank everyone who spread the previous message about his arrest. We are happy that Ali is free again, but our rage remains. Every day people are arrested and locked up because they do not posses the right papers. It is important to continue struggling against this situation. Destroy all borders and the deportation machine! ← Ali is weer vrij!